Last year completely burned me out for reading, I tackled a challenge to read 150 books. With two children, a house, pets and a few businesses to run – it was a LOT to handle. So, this year I went for 120. Ugh. Apparently, that is still too much. I fell behind, but I am pulling ahead again. Here are some stats! I know what you’re thinking. “Dear heavens, Sissy! How on earth will you catch up!? Well, truth be told is.. this is doable. I started numerous books that I need to finish, plus there are Audiobooks waiting to be checked out! Consider this, just a few days ago it was 23 books behind, so 18 really isn’t that bad! Also, remember the time I decided to throw a challenge on top of a challenge? This was so that I could tackle my personal library and polish off some unreads books. I shamefully have more unread books than what I do read ones. Hence this challenge – however, I seemed to have failed miserably. This here is my last update which still remains the same, we will see if I am able to tackle anything more on it by the end of the year. If not? Well, next year’s bookish resolution? Perhaps! Yeah, you’re reading this right… Another challenge! This was one I had intended to polish off some series or at least get a bit further into them. I actually did quite well with this challenge so far and the year isn’t over yet. Not only did I read these two [which are both sequels,] I was able to finish up both series by reading the third book. I consider that an accomplishment. 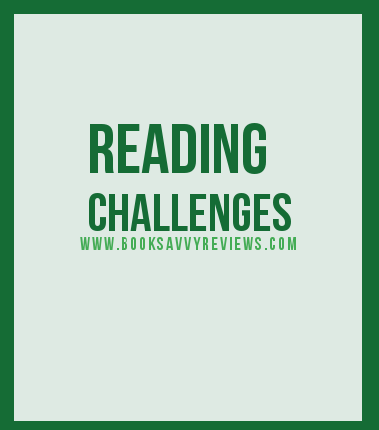 I don’t have a pretty graphic for this one, but I had a few reads with my friends this year and one of them I opted to set a reading goal with her – we failed miserably at that. I’ll post an update before the year is over.. see you in a few weeks! So, what have you read lately? Do you have any challenges? What is the most you’ve read in a year? Share below. I finished my goodreads challenge. I only did the Goodreads Challenge this year. Maybe I should think of adding a few new challenges for next year! Congrats! How many books did you pledge to read? Next year I’m reducing my Goodreads challenge to something easy lol. My goal was 104 and I just started 116 today. My goal will start at a book a week and should I meet that I will up it to two per week..
That’s awesome. Good luck on your future challenges, too!